In March 2017 the largest anti-corruption rallies in the last five years were held in Russia. What was most surprising about these rallies was the age of the participants: many of those protesting were students and pupils, who took to the streets with a sense of excitement in their eyes. Unlike those that came before them, these protesters have been online since they were kids — and have not been brainwashed by Russian state-owned TV. This new anti-corruption movement was sparked by a 45-minute YouTube video, “He Is Not Dimon To You” (Он вам не Димон), an investigation into alleged corruption by Russian Prime Minister Dmitry Medvedev, which was unprecedented in its scale. The video, produced by Alexei Navalny’s Anti-Corruption Foundation, gathered over 27 million views within the few months that followed its publication. 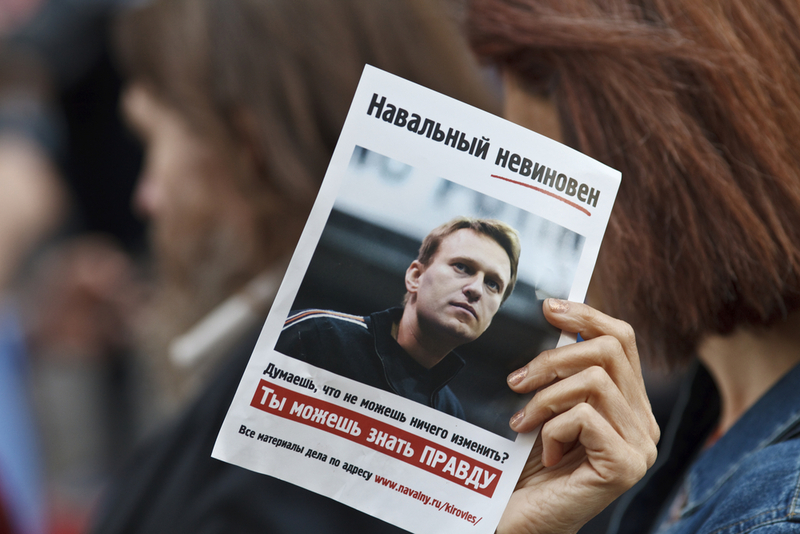 Since then, Navalny’s position as the leader of the opposition movement in Russia has increasingly strengthened. 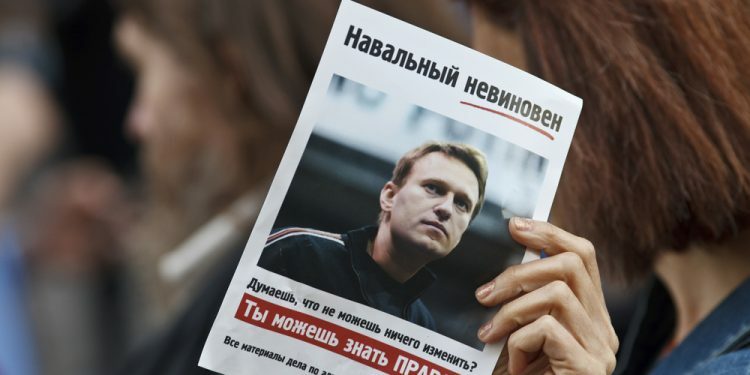 Navalny is best known for being a blogger, a whistle-blower, and an anti-corruption activist. But since the beginning of his political career his access to mainstream media has been restricted. For instance, there is an implicit prohibition on pronouncing his name on television. When Putin talks about Navalny in public, he simply refers to him as “an opposition politician.” Under such conditions, Navalny actively uses digital technologies and innovative political techniques, which are unknown in Russia, as well as a variety of social networks to reach the public and promote his agenda. Four years ago, when Roskomnadzor — Russia’s communication watchdog — banned his popular blog on the Russian platform LiveJournal, Navalny moved to YouTube. Since that time, Navalny and his team have turned his YouTube channel into a fully-fledged media platform with live broadcasts, special investigations and morning shows, one of which is watched by millions of people, mostly youth. While Navalny’s political program tends to be inclusive, it is also overly broad. His program predominantly articulates both liberal and center-left demands including freedom of political competition, decentralization of the country’s administration, greater authority for Parliament, raising the monthly minimum wage and boosting spending on education and health care. Although his current political agenda lacks right-wing policies, liberal commentators nevertheless often perceive him as a nationalist, largely because he co-founded the right-wing political movement “The People” at the beginning of his political career. Moreover, despite being inclusive, Navalny’s method of representation on social media is effective not necessarily because of its content but because it succeeds in building Navalny’s brand. All the shows on his YouTube channel repeat his general position, simply using different formats; all anchormen use the same hashtag expressions as Navalny, such as “crooks and thieves” or “Russia’s Beautiful Future,” and they even behave like him, repeating some of his gestures. His YouTube channel is not a space for debates and discussion, but an effective propaganda machine, which uses social media in full force. Several studies have noted similar observations in the offline activities that take place at Navalny’s headquarters. For instance, Dollbaum, Semenov and Sirotkina have pointed to the tension in Navalny’s presidential campaign structure: even though it was powered by activists with different political positions and volunteers with deep connections to diverse local struggles, the campaign was executed strictly from the top down and was built around a fixed set of demands and issues, approved exclusively from above. It could be said that in this way, Navalny is the Steve Jobs of Russian politics. Everything that he does with his team is efficient, convenient, simple and exciting, but also authoritarian, and subordinated to the will of the center, thereby preventing collective management or grassroots initiatives. It is necessary to emphasize this tension, although this is, in a sense, an inevitable opposition strategy in the current political situation in Russia, where political apathy is high and all opposition forces are divided. Right now, Navalny is the only politician with enough potential to challenge the undemocratic system. But how did he make it? It seems, that the only chance for successful political struggle against a strong authoritarian regime is to consolidate all types of discontent under a single signifier — “Navalny,” even if it too is performed in an authoritarian manner. His agenda and his political representation are populist — and this is paying off. Why can we call Navalny a populist? And what does it mean to be a populist at all? For Argentine political theorist Ernesto Laclau, the meaning of populism can be found not in “any political or ideological content, but in a particular mode of articulation of whatever social, political or ideological contents.” Populist discourse makes marginalized social groups publicly visible and mobilizes them for political action by reducing political conflict to a battle between the people and the elites. This construction is possible only on the basis of a common floating signifier, i.e., an abstract word, such as “justice,” or the figure of a leader, to unite different social demands. After the economic crisis of 2008 and further international economic sanctions, resulting from the annexation of Crimea, state institutions have become increasingly unable to cope with the satisfaction of social demands. Recently, the state adopted a law on raising the retirement age, which caused widespread social discontent and a significant decrease in the president’s ratings as well as the governing party. Moreover, after the unsuccessful and inconsistent politics of “modernization” during the presidency of Dmitry Medvedev, when part of the public sphere was liberalized, Russian civil society formulated its own, but still abstract, political demands during the 2011 to 2013 “For Fair Elections” protests, which included the registration of opposition parties and the institution of new, democratic legislation on parties and elections. All these factors formed and strengthened the growing “negative consensus” on the regime over the barriers of ideological preferences, both among opposition activists and fellow citizens. This “effect of authenticity” also allows Navalny to put forward populist demands while avoiding specific ideological content, since the confirmation of a more unambiguous position blurs the established “negative consensus.” But, ultimately, ideology cannot be avoided in doing politics. Many people point out Navalny’s sympathy for nationalism and his ideological incoherence, but they do not see the big picture. Nor do they take note that in a populist discourse, all ideological principles can be used or abandoned as far as they serve the dichotomy: “We the people against the elite.” That is why his political agenda has, over the past ten years, drawn on a spectrum of positions from right to left — he was a nationalist, then supported the liberals, now he sympathizes with the left—and still remains vague. This ideological incoherence is an inherent part of populist discourse, without which Navalny would not be able to unite so many citizens in today’s Russian political reality. Moreover, following the argument made by Jussi Lassila, one of the main reasons behind Navalny’s success is his readiness to shift into the regime’s position and challenge it on its own terms. The novelty of his discourse is that he does not represent any new principles that are substantially different from Putin’s rule or any new competing signifiers. Instead, he “re-orders the central and already existing components of Putin’s ‘non-ideological stability,’ which are the people, patriotism (national dignity), and the rule of law into the populist frontier between the elite and the people.” Indeed, Putin presents himself as a patriot and a major anti-corruption activist in the country, and in his speeches always refers to the fact that everything must be done according to the letter of the law. By demanding adherence to these principles, Navalny has turned them against Putin and his whole regime. For instance, Navalny recently announced the organization of a trade union to fight for higher salaries for state employees. This union will have to implement the “May decrees,” signed by Putin, according to which the salaries of state employees should not be less than the average salary in the region. Thus, Navalny as a charismatic leader of opposition is a mirror image of Putin as the charismatic head of the state. Such a populist and personalist style of political representation, using in its favor the “effect of authenticity” and the vague ideological concepts of the current authoritarian regime, has proved its relative effectiveness in uniting the opposition, fighting the regime and increasing the number of supporters. The question of whether this could lead to the establishment of democracy in Russia in the future, which inevitably implies the decentralization of power as well as political pluralism remains open. It further raises concern about the consolidation of power around just one person. Despite this, at a time of heightened political repression, the unity of political opposition in Russia is arguably more important than its diversity. Right now we should provide Navalny with full support, but not forget about the contradictions and dangers, contained in his strategy. Konstantin Koryagin is an MA student in the Department of Sociology and Philosophy at the European University in St Petersburg.